The 2013 Synod of Bishops will take place from August 11-18 in Kyiv, followed by the consecration of the Resurrection Sobor, Kyiv on August 17-18 on the occasion of the 1025th Anniversary of the Baptism of Rus’-Ukraine. 2013 Clergy Conferences – September 10, November 5. 2013 Clergy Retreat – October 28-November 1, Sanctum Retreat Centre, Caroline. Retreat Master: Most Rev. 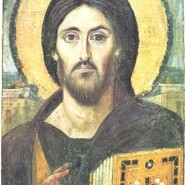 Stefan Soroka, Archeparchy of Philadelphia. World Tourism Day will be celebrated on September 27. To mark the occasion the Pontifical Council for the Pastoral Care of Migrants and Itinerant People’s has released a message entitled Tourism and Water: Protecting Our Common Future. It is also available on the Pontifical Council’s website (www.pcmigrants.org). The 8th World Meeting of Families, organized by the Pontifical Council for the Family, will take place October 26-27 in Rome. Join Pope Francis in celebrating families through this unique pilgrimage. The complete program and practical information is available at www.famille.va). The theme for the 47th World Day of Peace, chosen by Pope Francis, is “Fraternity, the foundation and pathway to peace” will be the focus of the celebration, which will be on January 1, 2014. The Holy Father chose Fraternity as its theme, which has been a key point he has spoken on since the beginning of his papacy. The Holy Father has many times “stressed the need to combat the ‘throwaway culture’” and instead has promoted a “‘culture of encounter’, in order to build a more just and peaceful world. The event was an initiative of Pope Paul VI and usually includes a message from the Holy Father that calls attention to the value of peace in the world. The Pontifical Council for the Pastoral Care of Migrants and Itinerant People, in collaboration with the Pontifical Council Cor Unum, published a new document “Welcoming Christ in Refugees and Forcibly Displaced Persons. Pastoral Guidelines (www.pcmigrants.org).” The previous guidelines were issued in 1992; the new document reflects the international scenario which has changed, and the internally and forcibly displaced persons has become a matter of profound concern. Bishop David appointed Rev. Irenej Valiavka, osbm, as Assistant Pastor of Saints Peter and Paul Parish, Mundare effective September 1, 2013. Father Irenej was ordained to the priesthood on July 31, 2005 by Most Rev. Irenej Bilyk. He replaces Rev. Thomas Kobak, osbm, who is being transferred to Winnipeg. Most Rev. Innocent Lotocky, Bishop-emeritus of the Eparchy of Chicago (Saint Nicholas) passed away on July 4 at the age of 97. Vichnaja pamjat. 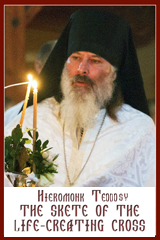 He served as the Bishop of the Eparchy of Chicago from 1980-1993.